I’ve wanted to read this book for a long time, as it is constantly quoted as being part of many various “cannons,” including but not limited to exemplary prose writing, strong female voice, and encapsulation of the zeitgeist of a time and place, specifically in the title essay. I’ve especially enjoyed her pieces that capture a certain era in California, as that’s where I grew up, and “On Self Respect” is widely seen as a feminist must-read. I really cannot recommend this book enough. I had a general idea of the fact that race was a socially constructed invention, but little concrete knowledge of the machinations of this construction. The title could be a bit misleading — it is not really the history of “white people,” but the history of the idea of race itself, especially of how the current black/white dichotomy came to be. Although it is a bit long and dry, I listened to the audiobook while I was painting and I was truly hooked. The content is fascinating enough in and of itself that I appreciated Painter’s lack of bells and whistles. Additionally, I frequently read with an editor’s mind (or what I flatter myself to be one, more likely), mentally chopping out and whittling down what I feel to be unnecessary sections. Painter’s writing needed none of that; it is straight to the point and organized with clear direction and intent. If you’re looking to learn more about the concept of race, how it was formed, and what it means, The History of White People is a fantastic introduction to those ideas. A bit of a trendy book at the moment, Homegoing lives up to the hype. I can’t really imagine how difficult this book must have been to write. It spans so many places, times, cultures, and seemingly endless forms of pain. Yet, Gyasi adeptly handles it all, investing her readers in her characters through only one small chapter on each of them. Perhaps it is the generational progression of the characters that allows us to not have to start our emotional investment from scratch, but still, it is a feat. Gyasi does an excellent job of making historical and political points louder through their quiet. They are seamlessly intertwined in the deeply personal stories she tells, making us feel it all the more and avoiding any of the didactic tone that can turn one off in a work of fiction. What the novel hits home most profoundly is the unending, unlimited legacy of the slave trade on black people in both America and in the places they were stolen from. Anyone who thinks that the misfortunes of the heroin addict in Harlem is unrelated to this history will be dutifully put in their place by an exceptional passage in the second to last chapter where a successful black student gives an interior monologue on his rage over white privilege. Whether you approach the novel to educate yourself in seeing these connections or just to immerse yourself in a compelling, human journey, you will be rewarded either way. 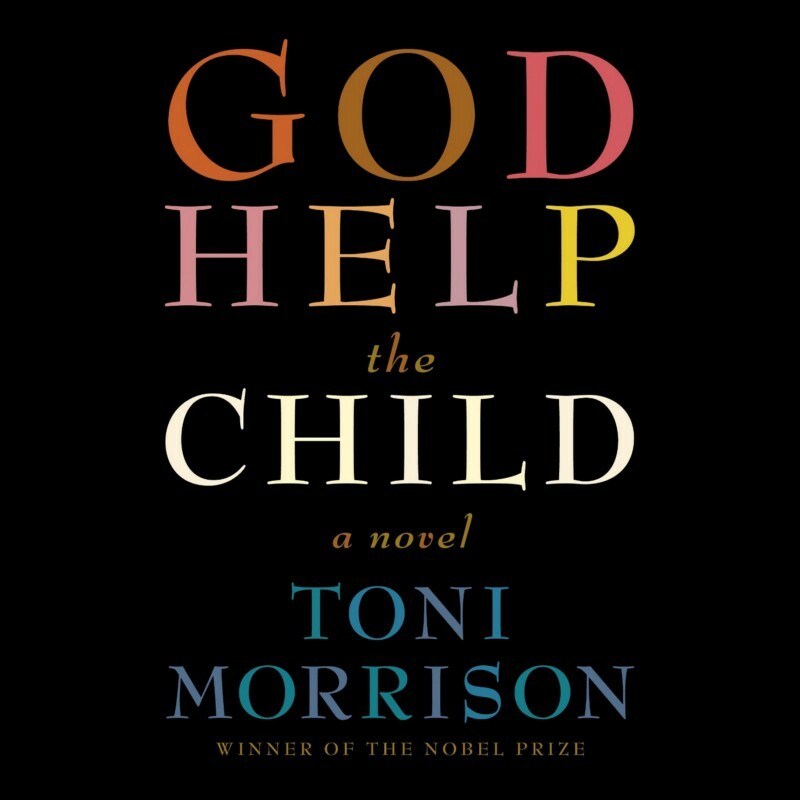 I’ll keep this one simple — it is always a good choice to read Toni Morrison. Walls’s story is truly unique, and her writing of it is made especially profound by the push-and-pull she imbues it with. On the one hand, her parents and the lives they have chosen, or rather, the lives they desire, are in many ways universally appealing. We have within all of us a call to freedom, a wish to turn away from society’s limitations and to pursue our own ways of thinking and being. The inability of this family to achieve that in a positive, life-affirming way is agonizing, and one of the strongest undercurrents in the novel that keeps the reader clinging, if ever so lightly, to the shining moments of these parents. On the other hand, many of the pitfalls that arise in this pursuit are driven by the less admirable (although still relatable) traits of self-centered stubbornness, inability to make sacrifices, delusion, and addiction, and lead to the inexcusable abuse of powerless children. Overall, it is a fascinating memoir of an exceptional upbringing, told with nuance and compassion. This is the one from 2016 that I snuck in! Although it is a bit long and not exactly a page-turner, I cannot stop recommending this book. It was so eye-opening to me about the inner workings of our systems, the very recent oppressions of women, and stories of people we should be learning about and don’t. I love the way that Gore Schiff went about making her selections — she chose women whose stories not only spoke to her personally, but also renewed her faith in the power of our political system. This is not to say that every women in this book was a docile government worker by any means, but that they focused their goals on creating systemic change and achieved it. 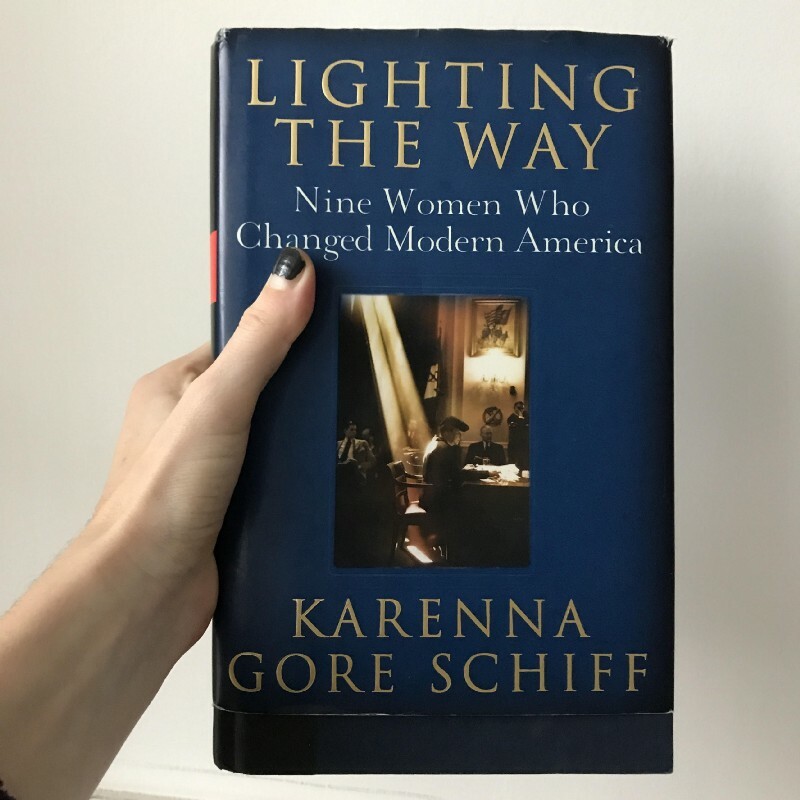 In a time of renewed activism and sense of civic responsibility, the diverse grouping of women that Gore Schiff highlights in this important book feel especially relevant. Have any of you read these books? What did you think? I’m so thankful that these women were willing to put so much of themselves on the line to share their stories and their views — inspiration, indeed!